As a buying group, we have an obligation to keep you informed as to the changing trends in our industry. 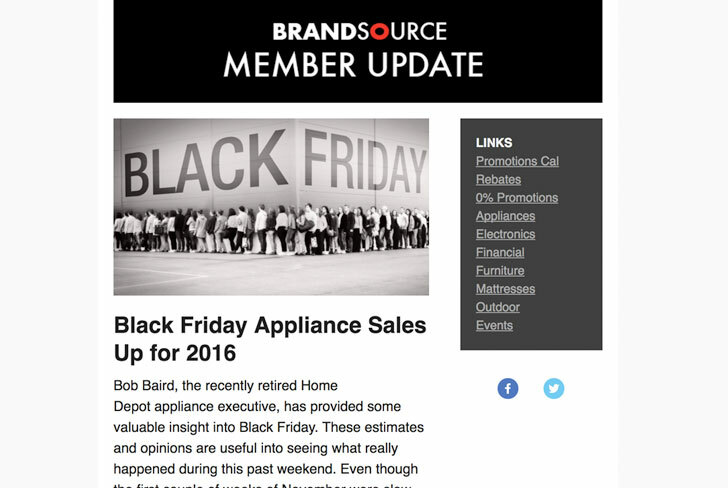 All members of BrandSource receive “Member Updates” designed to keep you current regarding our manufacturing community, Expert Warehouse, industry news, exclusive BrandSource deals, Events, Education and more. You’ll want to read it!